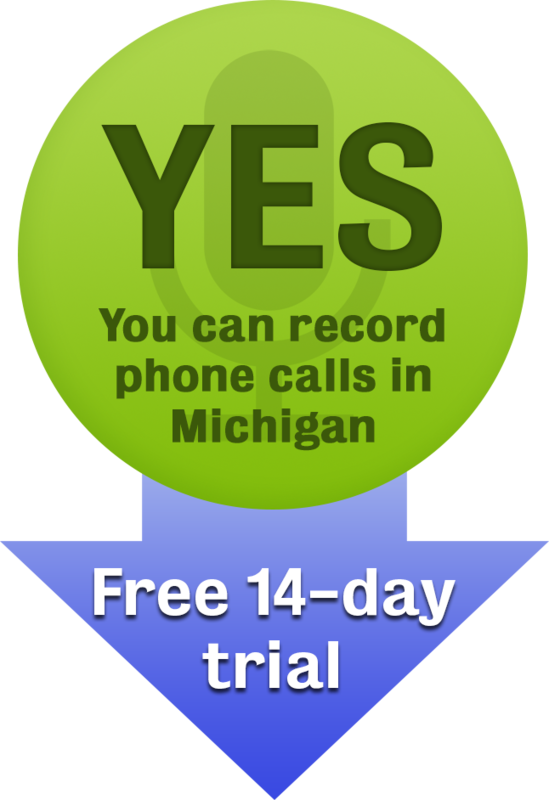 Michigan is a ‘one party consent’ state when it comes to recording phone conversation. This means that if you’re one of the parties on a call, you can record the other parties without telling them. Though there is no statute in the state that relates directly to recording phone calls, lawyers instead reference Mich. Comp. Laws. 750.539c that deals with eavesdropping. According to the statute, eavesdropping refers to “recording or overhearing the private conversation of others.” With the statute therefore, when you record a conversation to which you are part of – private or otherwise, you are in no violation. But if you have intentions of recording a conversation which you are not a party, then it’s eavesdropping and you would need the consent of all parties. Stiff penalties are in place for those who violate the provisions of the statute with regards to illegally recording phone calls in Michigan. Other than facing criminal prosecution, offenders may also be exposed to a myriad of civil suits which might attract damages in monetary forms as compensation to the injured party. This is not to mention the litigation fees as well as the fees for the attorney. Therefore, be careful not to violate the wiretapping statute in the State of Michigan. Since the eavesdropping statute is silent on the particular “electronic, mechanical and other devices” for recording conversations, it is entirely up to you to choose your preferred mode or gadget. Secure Speak provides you with the easiest way to record phone calls, no matter what phone you have. We give you a phone number that you can3-way into any call. Whatever that number hears gets recorded, and then emailed to you. You can try out Secure Speak today for a 14 day free trial and have the best way to tap into calls and keep the records once the conversation is over. Secure Speak is not a licensed lawyer and any statements do not constitute legal advice. Contact a lawyer for information pertaining to your specific case, and reference Mich. Comp. Laws. 750.539c statute directly. Posted 4:16 am by Secure Speak & filed under Legal.